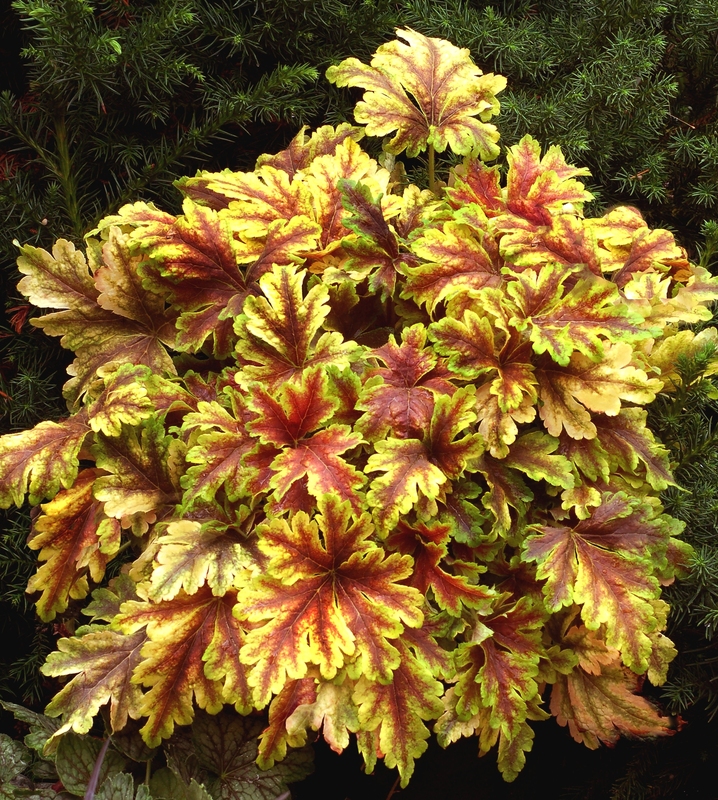 Lush, bright yellow leaves have large dark red centers that cover most of the deeply cut leaves. Small white flowers in late spring. Smaller with more red color and a denser habit than 'Alabama Sunrise'.